Satisfaction for Insatiable Readers: A Perilous Journey of Danger & Mayhem: A DASTARDLY PLOT by Christopher Healy - REVIEW + GIVEAWAY! 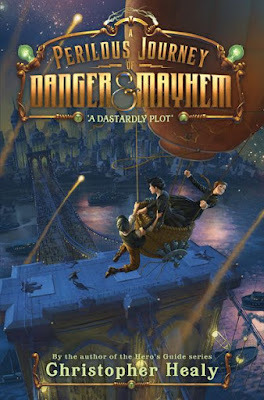 A Perilous Journey of Danger & Mayhem: A DASTARDLY PLOT by Christopher Healy - REVIEW + GIVEAWAY! Audiobook fan? Check out a sample HERE! Educator? They've got a GUIDE for that! Woo hoo! Now that's what I call an adventure! If you've read Mr. Healy's previous works, you'll know he isn't afraid of letting the ladies take the lead, loves peppering the story with unexpected humorous moments and dialogue, and always brings the action. So what should you expect this time around? Same...and then some! It's hard not to like the Pepper's, both Molly and Cassandra, though maybe a bit more of Molly. They've had to survive some hard knocks in life from the passing of her father to the ruination of their business to the scraping through mud of the family name, but as their family saying goes...Peppers never give up! Something to remember when things are looking severely down and all seems lost....just sayin'. I really loved Molly's spunky nature, relative quick thinking on her feet, and her ability to charm an audience when need arises. Her devotion to her mother is heartbreaking in its strength, but it's certainly not one-sided, which brings us to Pepper number two. Cassandra Pepper is Molly's mom, and while limited in street smarts, she's a whip at anything with gears, steam power, or otherwise inventor-ish. Seriously, some of the gadgets and gizmos she created are astounding and I agree with her...the public deserves to know her name...as well as the rest of the female inventors out there lurking in the shadows just waiting for their moment to shine...and shine they will! The devotion she shows to Molly is heartwarming, and the love they have for their new family of two is present in all they do. Even when they are exasperated with each other, you can still see how much they care, and when things turn from bad to worse, the first thing on the other's mind is seeing them safely home again. We should all be so lucky to have family so dear...or even a friend, which brings us to our new chosen family member of sorts. 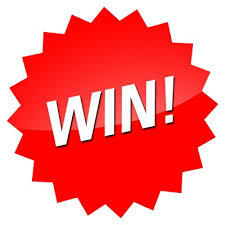 Time for an unscheduled stop in your bookish fun as we give you a chance to win! Up for grabs...(1) print edition of A Perilous Journey of Danger & Mayhem: A Dastardly Plot by Christopher Healy! *Open to US residents; no P.O. Boxes please. Entries accepted through midnight CST 10/12/18. Winner will be selected, contacted, and given 48 hours to respond with their mailing information to be sent to the publisher for prize send out. SFIR is not responsible for lost prizes. 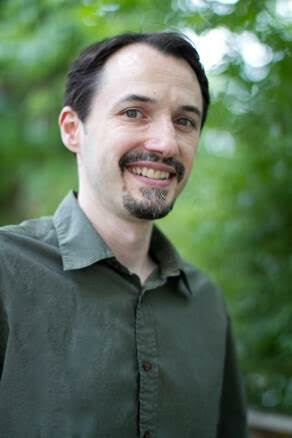 Special thanks to the Walden Pond Press team for the chance to bring this tour to you as well as the ARC for review. (THANKS!) For more information on this title, the author, or the publisher, feel free to click through the links provided above. This title just celebrated its BOOK BIRTHDAY, so be on the lookout for it on a bookstore shelf or virtual retailer of your choosing. Be sure to check out the rest of the stops along the tour for more bookish fun! PIPER PERISH is back in Kayla Cagan's ART BOSS! Walk a mile.... IN YOUR SHOES by Donna Gephart!